SQ 406, the A-380 double-decker, from Singapore to New Delhi cruised 40,000 feet above the Indian sub-continent. Both the men’s and women’s hockey teams slept, snoozed, and watched films while a few chatted. 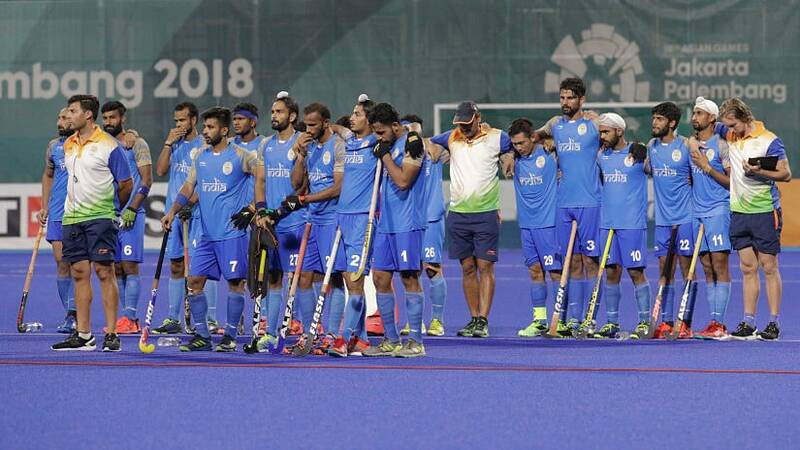 The men still in a stupor, their semi-final melt-down, attached like a cyst in the system; the Indian coach Harendra Singh, still unable to come to terms with the loss. 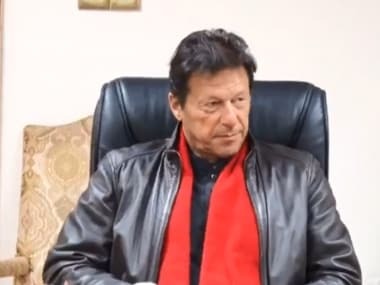 “Suddenly the match comes back and there is that sinking feeling, moments of the match flash across and we know we did it wrong,” he says, his face a myriad of conflicting emotions. He and the team, knew that Gold was for the taking. But maybe, in the loss at Jakarta, there is a way forward. “In every loss, there is learning,” says Harendra. But as he speaks, he and his team would never have thought or believed that they would not be playing the final. 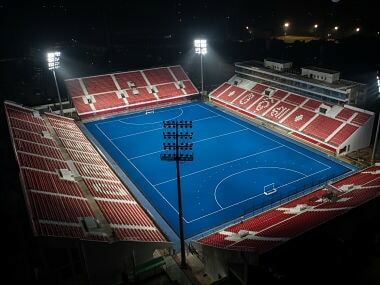 But if modern sport was so straightforward and if every tournament finished as per rankings, Malaysia should have won the Asian Games hockey final after leading 5-2 in the fourth quarter. But the Japanese (16th ranked) in their first-ever final scored three goals in seven minutes to level the score. Tengku Tajuddin scored in the 59th minute to put Malaysia ahead again. But with exactly 13 seconds left on the clock, Hiromasa Ochiai levelled at 6-6 to force the shootout. The rest, as the cliché goes, is history. If India is still coming to terms, unable to exorcise the ghosts of the semi-final, imagine what the Malaysians must be going through! It’s a tough road ahead; anyway which team in the world enjoys an easy ascendancy to the top. It’s the same side that reached the Champions Trophy final. Apart from the semi-final against Malaysia, India did play well. They held their own against South Korea beating them 5-3. Against Japan, the eventual winner, India probably played its best match in the tournament, thrashing them 8-0. If peaking in a tournament came early, that was the match for India where they played their finest hockey; all ingredients, speed, skill, intensity, aggression, mental strength, focus, coming together in four wonderful quarters. Flick the pages of Indian hockey history and there are numerous examples where after losing a semi-final or having not made one, the slide is like a free-fall. It didn’t happen in Jakarta. 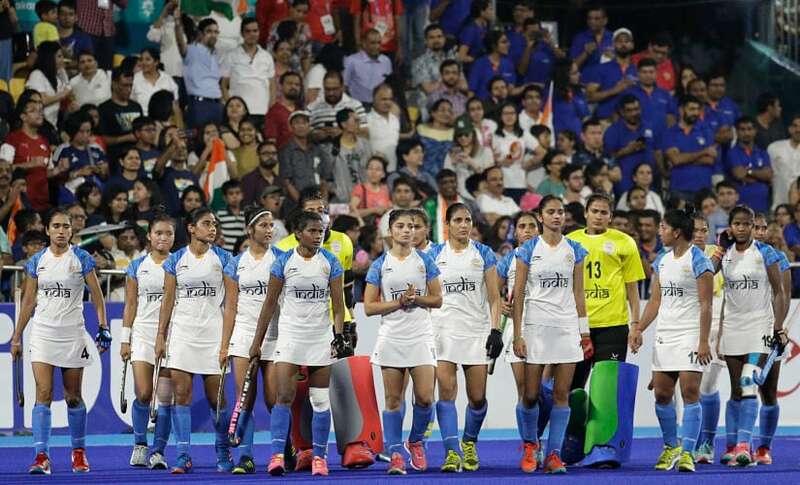 Faced with the pressure of playing a bronze medal against Pakistan, a day after the crippling loss to Malaysia, the team came back and showed enormous intensity against a Pakistan side that too wanted to go out on a high. There were moments of intense pressure and the players coped with it. Birendra Lakra was out of the team with an injury as India played with 17; key man in the defence sitting out with a strapped knee. There were missed chances but there was resilience too. Pakistan did cut the scores in the 4th quarter. But the Indian defence held on. Some pride was redeemed. The once-in-a-four year travelling officials ready to plunge in the knife sheathed it; for the time being. There is no doubt that against Malaysia, India wasn’t intelligent in the last quarter, probably not intelligent enough in the last two minutes. They didn’t embrace the pressure. Rather, ran away from it, making elementary errors. Players you would entrust your life with to win a match, crumbled. It’s a sign of mental degeneration when hype and pressure combine to chill your senses into a form of fatigue as every passing second seems like an eternity. The players acknowledge it. 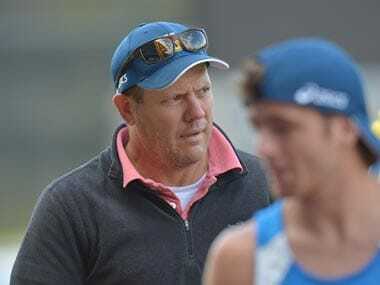 Maybe, instead of cat-calling the players and coaches saying ‘let down the nation; just can't sit and take away salaries’, they could have spent time with the team management and looked at the issues – for one mental strength and playing more matches against the top ranked teams, instead of just sitting in Bangalore and training day in, day out. It’s in retrospect but when New Zealand came to play a Test series against India, instead of playing in front of a packed stadium, the Kiwis played at the Sports Authority of India turf where not even 100 fans can be accommodated. Everybody knows introspection is a luxury. At the same time, soul searching gives you the opportunity to look at things head on and not sweep them under the carpet. This hockey team is the best we have, if there are more with the same level of skill, speed and intensity, bring them on. Consistency in thought and intensity are one of the two areas that Harendra and his team would work on in the coming months. But by not being a part of the Pro-League, they do lose out on valuable competition over a period of six months when the league begins. With nine teams in the fray (in both men’s and women’s), India would have had 16 top class matches. But now will have to arrange Test series with most, which is not an easy task as other teams also realise the importance of an easier group if India doesn’t qualify for the 2020 Olympics. The other aspect, even though it’s too early to say that but if India were a part of the Pro League and didn’t finish in the top four, its chance of qualifying for the Olympics was over and done with as only the top four teams come into the mix. It’s a tough road to Tokyo but certainly not one that is impossible. The women were the silver lining but it’s interesting to note that no HI officials said anything after India lost to Japan in the final. India is ranked 9th while Japan are ranked 14th. Having said that, the women have a superb core of players and with the fitness levels going up, they are an interesting mix of skills, tenacity and high on ambition. After losing the final, captain of the side Rani Ranipal, fighting to hold back her tears said, “We shouldn’t have lost this game. The final was ours and some mistakes cost us in the end.” In fact, even in the final minute, seconds left, Vandana Katariya couldn’t hold onto a through ball with the Japanese goalkeeper out of position. Such moments would haunt both the men’s and women’s teams. Sjoerd Marijne was disappointed after the final and rued the missed opportunities but admitted that there is a core that could be built on to take India into the top six of the world rankings. Silently, the A-380, ‘big bird’ landed at the Indira Gandhi International Airport. Quietly, the teams filed out, picking up their bags, mentally tuned into answer what went wrong as the throng of media patiently waited outside.